Responding to customer demand, PBPSA member company John Guest with its JG Speedfit system, has introduced two new variants of its Layflat pipe made from Polybutene-1 (Polybutylene and PB-1). 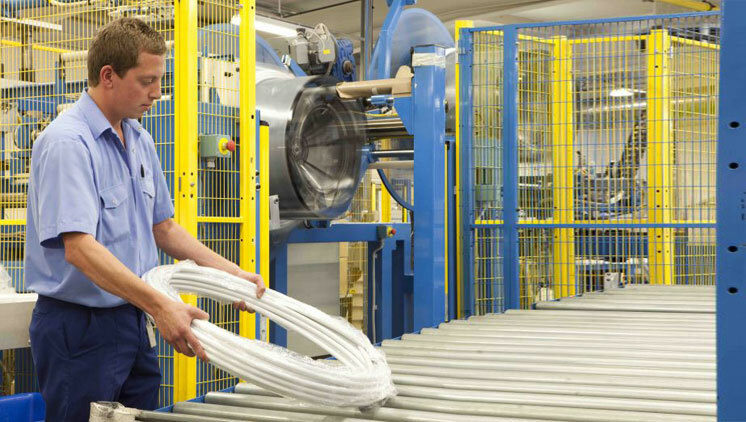 Previously available in 50 and 100m lengths, the company has now launched a 25m coil length of the 10mm Layflat pipe. The 25m range will offer installers a shorter run of pipe for smaller, domestic projects and is suitable for central heating installations, refurbishment, maintenance work and new builds. Also now available is a 28mm Layflat PB-1 pipe available in a 50m coil, the largest product available within the range. Developed to plug a gap in the range, the new pipe has been requested by installers to suit commercial plumbing projects including new builds and refurbishment maintenance work. First launched in 2012, the Layflat pipe made from PB-1 features low memory retention, which means that it stays straight and lays flat once removed from the coil, without trying to spring back into place allowing easy installation around obstructions and the ability to be retrofitted into existing structures. JG Layflat pipe is designed to be the perfect piping system for pressurised hot and cold water piping and underfloor heating installations.